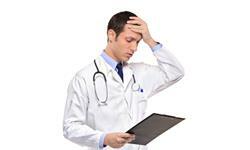 Many medical cases require hospitalization. Medical hospital personnel and other hospital workers owe a duty of reasonable care to children placed under their care. When such a duty is violated, a child may be seriously injured or die. If your child has been injured by the negligence or malpractice of hospital personnel, you may be entitled to compensation from those responsible. Call child hospital-error lawyer Jeffrey Killino at 877-875-2927 to discuss your legal options. According to the American Academy of Pediatrics (AAP), hospital negligence often results from the too-early discharge of a child patient. Such early-discharge issues can arise immediately following a child’s birth or after an older child has been admitted to a hospital. If a child suffers injuries while under a hospital’s care, a malpractice or other negligence action may be brought against the hospital and the hospital employees responsible for the injury. Malpractice leading to a child’s hospital injuries can occur, for example, in an emergency room, during surgery, in an intensive care unit, or during post-surgical hospitalization and recovery. Hospital injuries often occur to children in the course of pediatric surgery. If your child’s pediatric surgeon committed an error while performing surgery on your child and the error is determined to have been a cause of your child’s injury, the surgeon may be held liable for resulting damages in a pediatric malpractice action. Errors that have led to liability on the part of a pediatric surgeon include the performance of surgery on the wrong patient, surgery on the wrong part of a patient’s body, leaving surgical instruments inside a child’s body, making an error in diagnosis prior to surgery, or failing to notice and respond to complications during surgery. Such malpractice actions require proof of each element of a malpractice claim—duty, breach, injury, causation, and damages—by a preponderance of the evidence and may require the testimony of experts with respect to more than one of these elements. Nurses as well as doctors have a duty to exercise reasonable care toward patients who are under their care. As is true with respect to pediatric surgeons or other physicians, this duty of care is defined with respect to the duty imposed upon members of the particular profession, generally. Thus a nurse’s duty of care toward a patient, including a young child, is to exercise the level of care that a prudent and competent nurse would exercise under the same or similar circumstances. A hospital nurse’s duty of care may be breached by administering the wrong medication to a child, failing to check on a child at periodic intervals, failing to note changes in conditions in hospital charts (electronic or otherwise), administering an improper dose of medication, or failing to notice changes in conditions or other patient needs as a result of inattentiveness or other negligence. Actionable injuries to a child caused by the negligence or malpractice of hospital personnel may also occur during a mother’s labor and the delivery or birth of her child. If a physician’s or nurse’s negligence during labor and delivery is found to have been a cause of injuries sustained by a child, the physicians and/or nurses responsible and the hospital that employed them may be held liable for damages in a malpractice or negligence action. Hospitals are responsible, and therefore liable, for the malpractice or negligence of individuals they employ. In addition, a hospital may be found liable for its own negligence if the negligence is found to have been a cause of a child’s injuries during the child’s hospital stay. Examples of actionable hospital negligence include unsanitary conditions due to inadequate and negligent hospital rules and practices, inadequate hospital procedures for maintaining and updating patient information, unhealthy food-preparation practices, and requiring hospital personnel, including surgeons, other physicians, and nurses, to work too many hours in succession. If your child has suffered an injury due to the negligence of a hospital or its employees, contact child-injury and hospital-error lawyer Jeffrey Killino at 877-875-2927 for experienced and dedicated assistance in achieving the justice to which you are entitled.